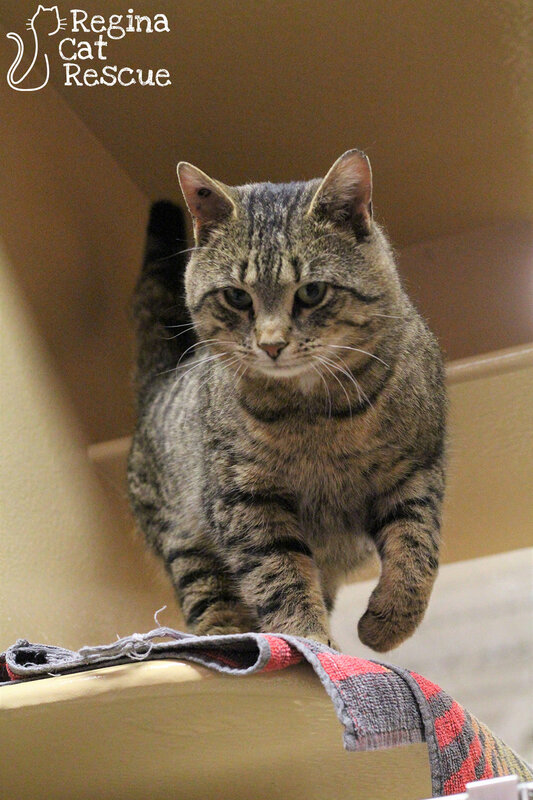 Carlton is a sweet cat, who, at seven years, displays no intention of slowing down. Having been abandoned in rural Saskatchewan, he made his way into Regina and is thankfully back indoors. Without a doubt, Carlton thrives as a hip house cat in the city. Carlton has a personality that is sweet and even-keeled. He's friendly, personable, and enjoys domesticated life to the fullest. His good nature is enjoyable to all who come across him, including other cats. Yet Carlton truly shines in a one-to-one setting, making him an ideal companion in a single pet household. 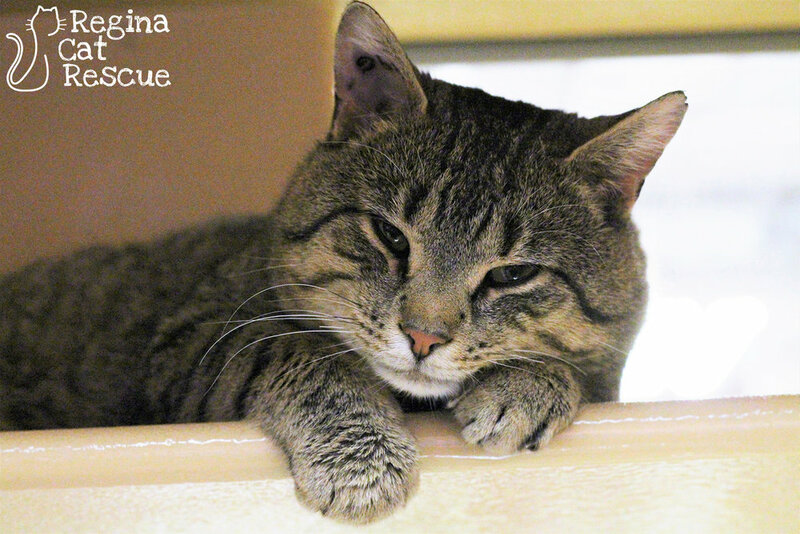 This beautiful tabby deserves a home to call his own. He has many years ahead of him, and is a spry and likable cat. Without all the hustle and bustle that a kitten brings, Carlton will make an excellent choice for a tight knit family. If you are interested in Carlton, click here to view our adoption contract and click here to complete an adoption application or email the RCR Adoption Coordinator at adoptions@reginacatrescue.com for more info.